Welcome back! October starts our busy season and we're ready. We're also ready for Fall and look forward to no more hurricanes, sweltering weather and mosquitoes. :-). Our schedule can change but Check our schedule to see where we will be next. The fall becomes extremely busy with shows and the holidays so we will try to make sure it is updated. North Carolina State Fair, Oct 13-23. Our art booth will be set up at the NCSF grounds at the Horse Complex from October 6 though....oh my...mid November! It's a great opportunity to come by and see a large selection of our artwork, talk to us, commission a portrait or just say "Hello!" 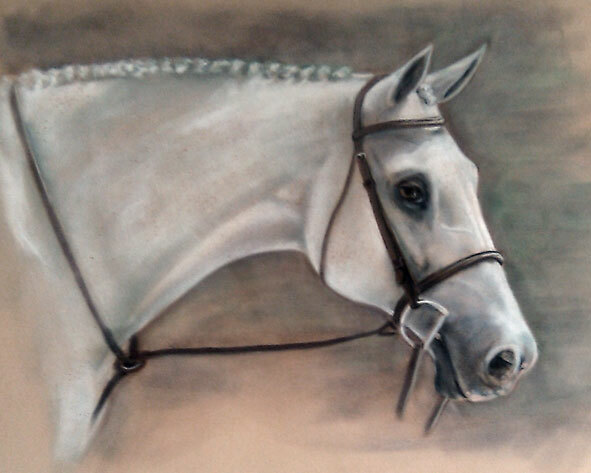 CAMEO PASTEL PORTRAIT SPECIAL! This was very popular last year and so we're doing it again: Cameo Pastel Special. 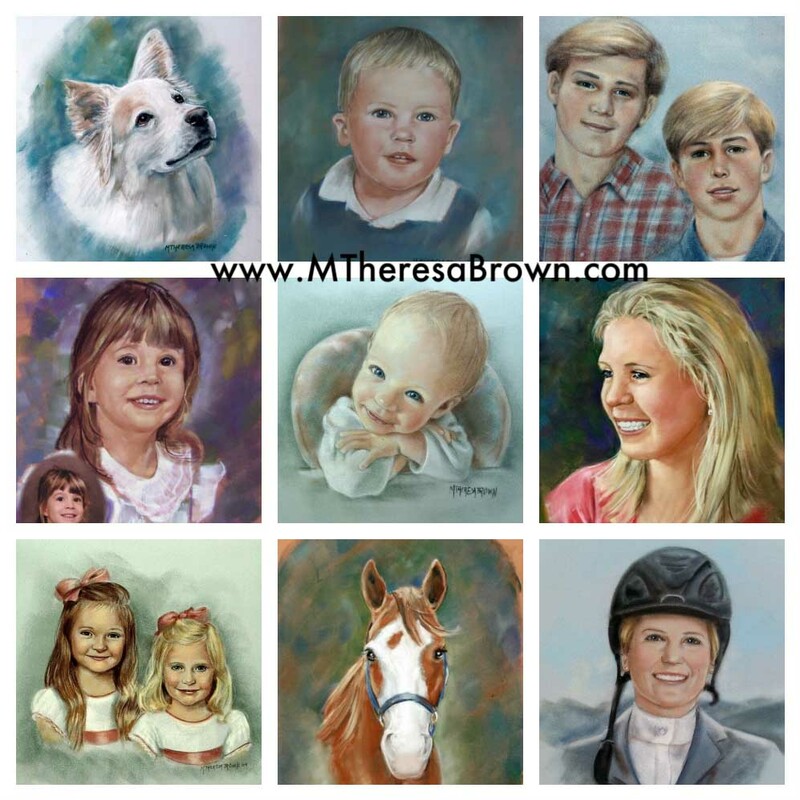 As a big Thank you to our wonderful clients, I'll be offering my popular little pastel portraits for just $135.00 per subject between Oct 1 and Nov 1 only! That is 50% savings from what you would normally invest in one! Here are a series of images of what one would look like. 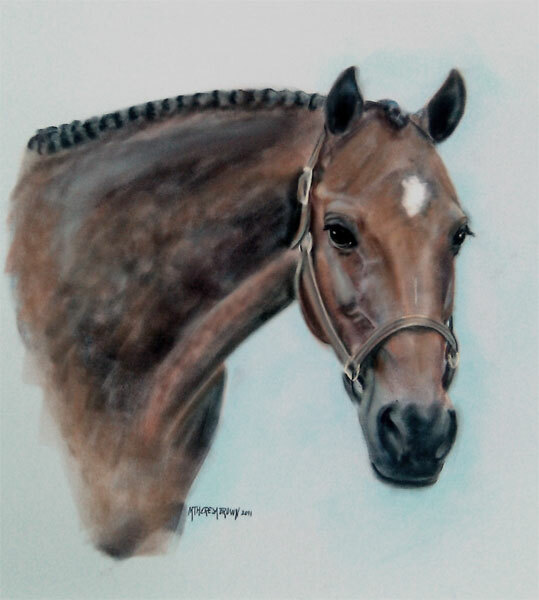 This Special does not include my combination horse and rider portraits but you can have your horse, a dog, a person, created separately. The small pastel with one subject is 9 x 11 in size. 2 people is a little larger as are 3 subjects :-). Please contact us with any questions. I'll need to receive your photo via email by Nov 1 for the special! 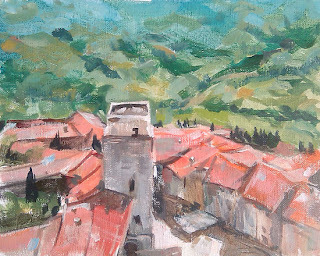 Steve has been working with acrylics lately, we have been using acrylics in our classes and he finds them much more location friendly when sitting at a table painting in the local wine shop. You can always see some of the artwork of both Steve and I in person if you are in Wake Forest by popping into the Wake Forest Art and Frame shop located at 139 S. White in the beautful downtown historic section! Who knew that art classes would be such a big hit? Creating art has always been our business and calling, but the past year our studio has seen amazing growth in our art classes. Our specialty has become the 2 hour "mini workshops" and participants love them! 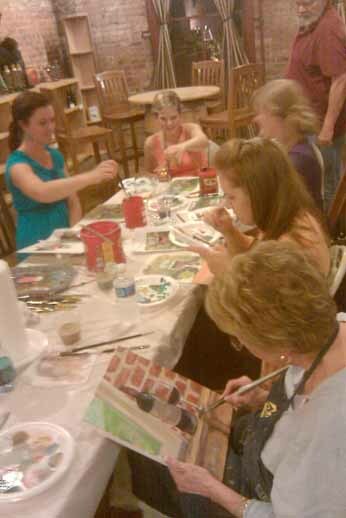 We just held another Art and Wine class at the Twisted Vine in Wake Forest where participants can enjoyed coffe or their favorite wine from sommelier, Bob. The next one is scheduled for Tuesday October 11. 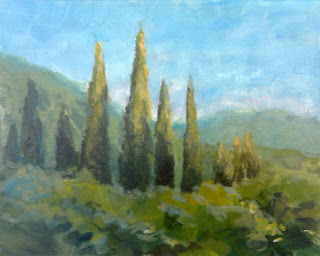 To find out more about art classes: Our blog has a gallery slide show as well as regular updates. Visit it or the website to see all and sign up for that newsletter to know what classes are coming up each month. 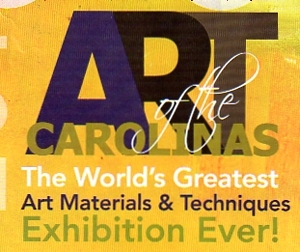 Art of the Carolinas is coming up! This 4 day art extravaganza (Nov 10-13 ) is the perfect place to buy supplies, take workshops and see what is going on in the world of art! We will be teaching several classes again this year. For fun, click on our video link to see very short video clip from the art parties we do every second Friday of the month in Wake Forest! Groups are already scheduling our unique Fund Raisers into 2012! We are excited to be offering such an event for the Orange County Animal Services on Saturday, Nov 5 from 10-12 noon. http://www.co.orange.nc.us/animalservices/ will take you to their event page and all of their contact information is right there! Visit them on Facebook and see their state of the art facilities! We have 3 being scheduled now for 2012 so talk with us now about how we can help you not only raise some money for your group but bring art, fun, accomplishment, team spirit and recognition to your group!